Right from the start, Apple was more or less interested in creating their own eco-system, a separate Universe wherein both the content and the hardware are provided by Apple. With the iTunes store, and the dependency on iOS enabled hardware to play music and watch movies, they achieved this goal to some extent. But with the introduction of Apple Music, everything is set to change, atleast for the music industry. The most interesting aspect is that Android users can also experience Apple Music, as Apple will launch a separate app for them on Google Playstore. The service is going to be launched on June 30th, globally across 100 countries which includes India. Apple has decided to make this service free for first three months, after which the users would be automatically billed from their account. Android app would be launched later this year. The Apple Music membership basically contains all the content available in iTunes (30 million+ songs), on a streaming basis using the web. Additionally, Apple Music will allow avid music lovers to create playlists which can be accessed by other users, powered by a recommendation engine. Siri, the voice search feature on iOS can also be used to search music using Apple Music. Users can now feed voice commands such as “Play me the best songs from 1994,”; “Play the best FKA twigs song,”; “What was the number one song in February 2011?” etc to discover the more music. 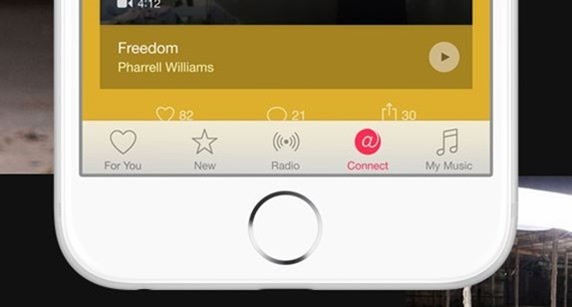 The USP of Apple Music is Apple Connect, a platform with a digital community element which has been introduced, for the first time. In a way, Apple is attempting to create a huge Universe of music lovers, who are inter-connected and share the same passion. Artists can create their own pages using Apple Connect, and fans can connect with them, sharing their views and opinions on the artist’s performance and shared content. Another unique feature of Apple Music is the introduction of Beats 1, which is an online 24*7 radio channel, which would be not only available to Apple Music subscribers, but also to every Apple user with an Apple id. Standalone usage of Beats 1 is free. Android users can also access this online radio channel via their new app which would be launched later in the year. To start with, Beats 1 would be anchored by Zane Lowe, who is a well known, distinguished voice of BBC Radio. Last year, when Apple acquired Beats Music and Beats Electronics, speculations were rife that a separate Radio service, along with a unique music streaming service would be launched soon by Apple. A year later, the speculations have proven to be right. Apple is now aiming for the music industry, and when a $100 billion company decides something of this magnitude, then everything changes. More information about Apple Music and membership details here.